Saints, we have been left here at this time and in this country for a specific reason and that is to hold back not just the power of the enemy but also to be able to plead to God for mercy. We need to pray so that His wrath is stayed just a little bit longer to allow a few more souls to be saved. Our Pastor reminded us in service on Tuesday night that we are the salt of the earth and we are the light of the world. The world does not even see the death that is hanging over our heads, but we do. They cannot pray down mercy but we can.To quote my Pastor, “Salt does not stop decay, but it slows down the process. It is also an irritant in the wound of the enemies”. This follow-up post is written to remind us of our power with God through prayer as well as our responsibility to tell the unsaved how they can be delivered. Yes, the Lord did show me what is hanging over the head of America. Could it be possible that He revealed the impending danger to spur us to prayer and intercession? I have to admit that the word from Him shook me to my core. But the Word of God says that man should always pray and not faint. Luke 18:1 …that men ought always to pray, and not to faint. My pastor said to us this past Tuesday night, “If you don’t see me panic, then don’t you panic”. We are blessed and highly favored to have a spiritual leader like Apostle Herman L. Murray in this country. He is a man who hears from God and is able to tell us in advance what God would have us to do. So now that I have calmed myself I know what I am to do in spite of the knowledge concerning God’s impending wrath. First I know that I am “good to go” to heaven whenever God chooses to take me because I am living holy everyday. But I also know that one of my chief responsibilities is to pray and seek God that His mercy is extended towards America. At the same time I must gather in the harvest of souls. God is causing a separation of the wheat and tares in the Christian world to determine who is on the Lord’s side. The real Christians will emerge and stand tall for the Lord. 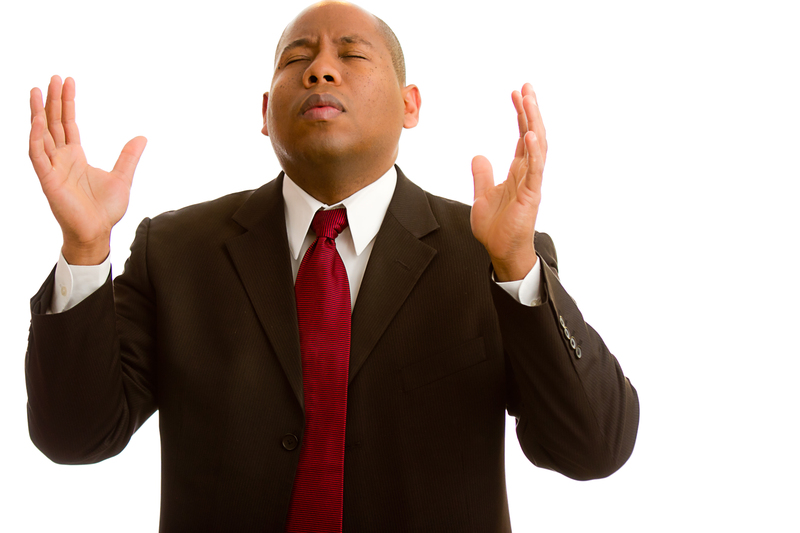 Those of us who can get a prayer through must do what I call “Go deep” when we pray. We must pray until we pray. By this I mean that we actually need to get lost in our prayers to God. We must pray until the burden of our situation is lifted. We must pray until we hear from heaven and until we know that we were heard by heaven. There is no question that sin is abounding now but we can also expect grace to abound. Romans 5:20 (KJV) says 20 Moreover the law entered, that the offence might abound. But where sin abounded, grace did much more abound. Saints, we are not helpless in this thing. Will we stand boldly for Christ or will we wimp out and fall apart with fear? Can we be aware of impending dangers and yet plead with God to hold back his wrath with prayer? I believe that He expects it of us. Remember the story concerning Sodom and Gomorrah when Abraham asked that God would not destroy the city if a certain number of righteous men could be saved? He went from 50, to 45, all the way down to 10. What would have happened if he had asked to have the cities spared if one righteous man could have been found? Perhaps his request might have caused a different outcome. Saints, let’s you and I pray and ask God to delay the outpouring of His wrath on America. At the same time let’s run, run, run to the lost to get them into the Kingdom of God. He did it for the city of Nineveh and perhaps it will cause a turnaround for us. (I know what ultimately happened to Nineveh but surely some of the people were saved in the interim that they were given.) The church is not going out with any less power than the early church. Let’s show ourselves worthy of our calling. Next Searching the Scriptures: Are There Nine Dispensations or Seven?